Lately, I’ve been obsessing over all of these gorgeous hints of fall patterns I’ve seen coming on Instagram. I’m partial to the fall and the winter, so the summer is always a hard time for me to sludge through. But I can see a light at the end of the tunnel! 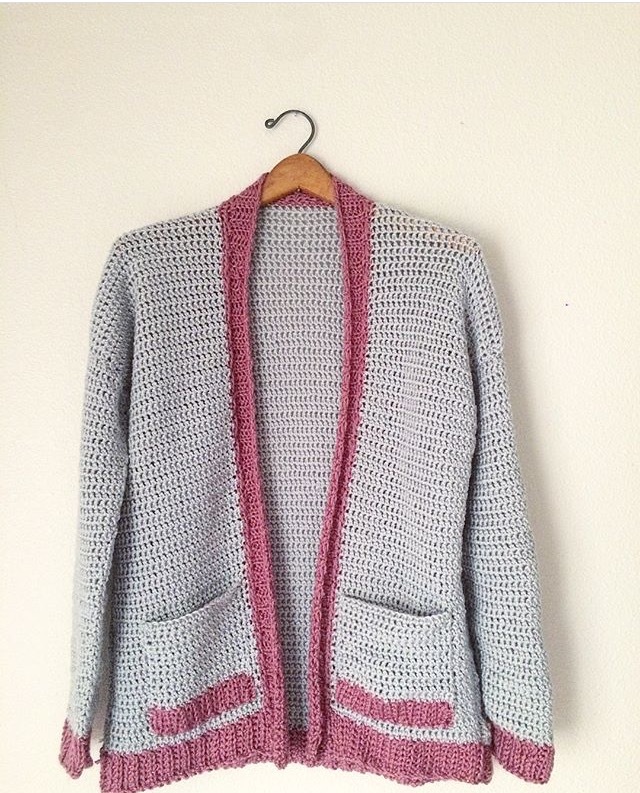 This cardigan by Meghann over at Twisted Arrow Designs. We’ve featured Meghann here before, but that is because her patterns are stellar and she is awesome! So why not feature her again?? This cardigan is the perfect combination of cozy and lightweight. It allows for some serious snuggle without smothering the wearer. And, as always, Meghann’s patterns are fantastically easy to read and come with all the instructions needed to get the maker from the first stitch to the last! This cardigan will be coming out as a limited time release only, so keep an eye on Meghann’s Instagram for all the release details! 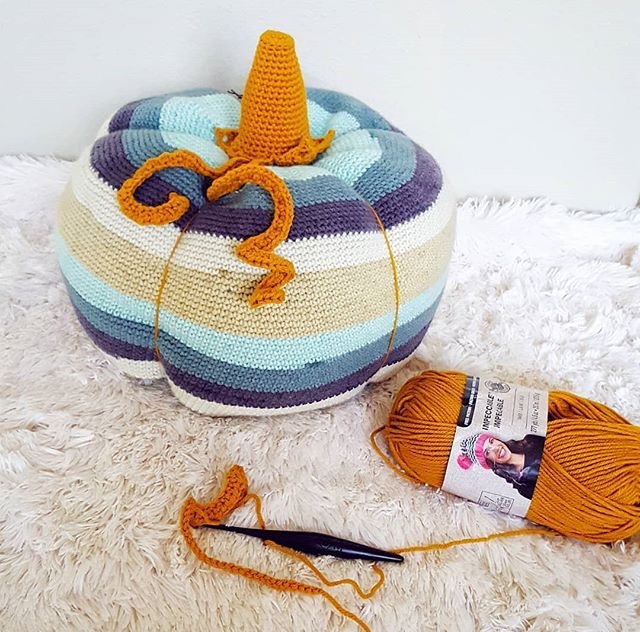 This awesome giant pumpkin amigurumi pattern by Amber from @divinedebris is giving me all the fall feels. I’m so excited to grab this pattern when it comes out to make my own!! Amber made the body of this pumpkin out of Caron Big Cakes, which was my go-to yarn last year for triangle scarves and cowls. I’m excited to try the yarn for a new type of project though! Thats all for today folks!! We also would love to hear from YOU who you’d like to see featured on our next Meet the Maker/ Link Share post! Is there a maker that has been inspiring you lately? Tag us on Instagram with #createdmakers or comment a maker in the comments section for us to check out!